This past week I watched two back-to-back episodes of the National Geographic Channel's reality series "The Knights of Mayhem." I do not normally watch that channel and was not even certain if my satellite television subscription carried it. I learned of the series due to a blog post by Steven Till that included a video clip from CBS News Sunday Morning about jousting and two dramatically different styles. One group is led by Jeffrey Hedgecock and is the force behind the Tournament of the Phoenix. The other group is the Knights of Mayhem led by Charlie Andrews. Danger is part of the allure of the sport for him. "And if you come in here to play you will get hurt. The only question is when and how bad." To prove that point Charlie lists the following injuries suffered by his type of jousting: concussions, broken collar bones, separated shoulders as well as his own broken ribs that led to a punctured lung and a pulmonary embolism. The major difference between Jeffrey Hedgecock's style of jousting and Charlie Andrews is the lances. Andrews' lances are solid hemlock poles whereas Hedgecock's are tipped with balsa wood so that they are designed to break easily on contact. Also unhorsing your opponent is encouraged by Andrews and penalized by Hedgecock. I have watched many displays of jousting in the last ten years. Yes, they were choreographed, but that does not mean they are without danger. One exhibition had a knight being hospitalized because a lance injured his groin. No amount of choreography can control what happens when a lance splinters. King Henry II of France learned that the hard way when he was jousting at his daughter's wedding and a stray splinter flew into his helmet's visor slit and penetrated one eye. He died from an infection brought about by that injury. That sure put a damper on the wedding festivities. 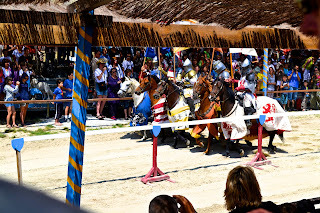 The potential for injury is not why I enjoy watching jousting, but the violent aspect of the sport was borne out by the two episodes of "The Knights of Mayhem" that I watched. 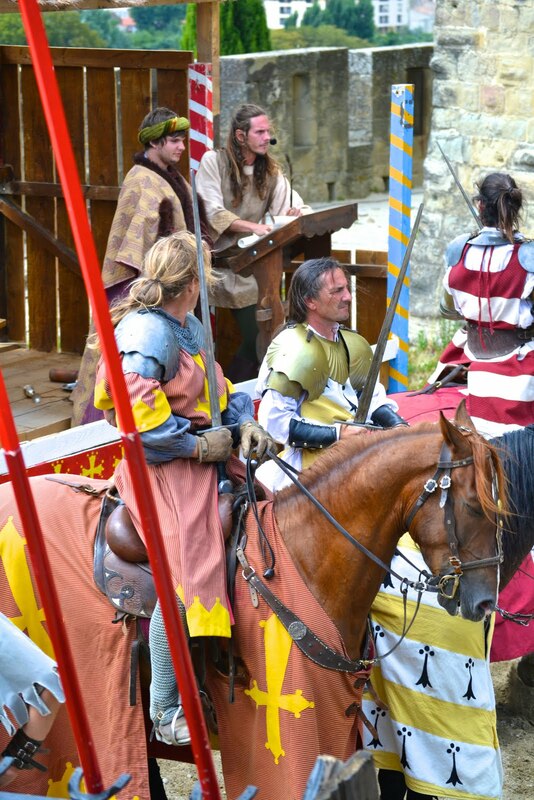 One of the knights is named Brian and he was thrown from the back of his horse in a tournament in Sonora, California and suffered a concussion. He was taken by ambulance from the fairgrounds to a local hospital where he was treated and a brain scan showed he had suffered from bleeding on the brain. The following episode, Brian discussed his injury and what it could mean to his family if he were to be injured again. But then he decided to forget about further risks to his health and safety out of a desire to win money. He took part in a tournament in Texas because he wanted to win $20,000. In that tournament Brian was unhorsed two more times and risked getting further concussions. I thought of the recent medical investigations being performed on former professional football players and how repeated concussions have impacted their health years after retirement. The risk to benefit ratio for concussions/prize winning seemed awfully skewed to me in regard to this extreme version of jousting that Charlie Andrews advocates. Twenty thousand dollars while a lot of money is a drop in the bucket when it comes to paying medical bills for those kinds of brain injuries. Another aspect of the show that bothered me was the treatment of a new recruit named Joe. He was ordered by Charlie to suit up and joust against him without having been properly trained. Joe does not have extensive equestrian experience and was fumbling with his reins and lance while the horse refused to go near the lists. Charlie then hurled expletives and insults at Joe as if humiliation would make him an expert horseman. I was flabbergasted at that display and began my own verbal outbursts at the screen. "He needs to practice with a quintain first!" and "How can you expect him to joust when he can't even ride?" Besides that, knights who jousted had their hands full with the lance and shield. They had to be able to control and guide their horse with their legs. This newbie certainly could not control his horse and did not have even the beginning skills of how to hold a lance. 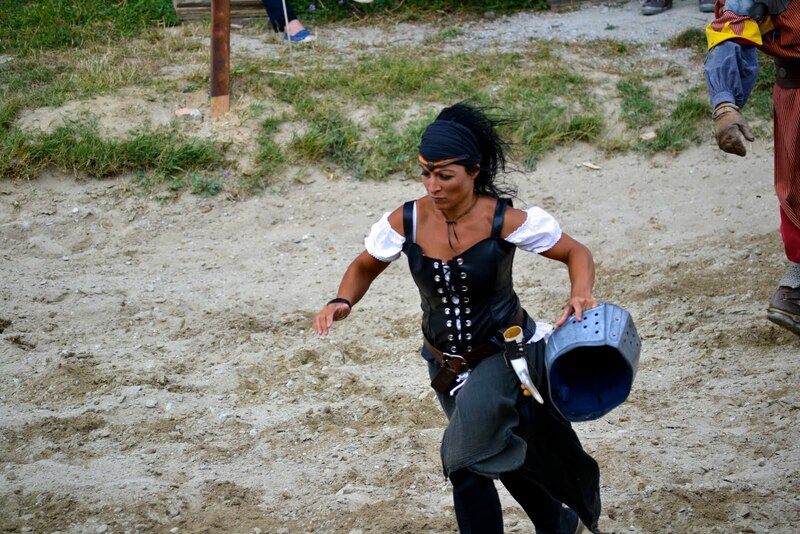 To ask that someone that inexperienced to suit up and joust was stupid and cruel. Then again, when it comes to the formula for successful reality television series you need to have a villain to root against. Charlie Andrews with his foul mouth and ego driven personality seems to be the central casting choice to be "the heavy" in this series. His counter balance is Patrick Lambke who appears to be the softer and more humane co-founder of the troupe. However, in the second episode there was a purchase of a new horse. Charlie states that he is the source of the funding of armor and transportation of the horses to the various sites of competition. He is the one bankrolling his brand of sport and his troupe. He complained about the high cost of this new horse, and then was disgusted when the horse was delivered. He felt it was too small. Are you kidding me? He bought a five thousand dollar horse without seeing it first? Really? Did he just go by online pictures or a video? Patrick was shown engaging in a soliloquy about this new horse and hoping that he would forge the bond between horse and rider that Charlie had with his. That is a nice sentiment and aspiration. The problem I had was that Patrick tried to compete with that horse, but without ever mounting the horse wearing full armor. Once again, are you kidding me? You get a new horse and you don't bother to train with it before wanting to enter into a competition? A horse is not a car. You cannot simply get on a horse's back and hope that it will respond like a car will when you depress the gas pedal. If using solid hemlock lances are more dangerous to the competitors than balsa tipped lances used by others who joust, then you should be more and not less concerned with the fundamentals of horsemanship *prior* to engaging in an activity that can harm your health and safety. And this ragtag group of foul mouthed biker dudes is who the National Geographic Channel chose to highlight with a reality series. I wonder if the cable executives considered any other troupe to create a jousting series. If given the opportunity to see either troupe perform in person, I would prefer seeing Jeffrey Hedgecock's rather than someone who egotistically proclaims, "I am the merciless god of this universe." I fully understand why Charlie Andrews' troupe has only a few members. There is one benefit of my viewing this reality show: Charlie may help to inspire my writing of my antagonists Mandricardo and Rodomont, because he is utterly without honor. After watching some episodes myself, Linda,I heartily agree with your assessment. These guys have no sense of history, of making a sport a safe diversion, and class. I've seen knights compete on the circuit and they make sure safety is first and that their horses know what they are doing, too (their horse is their partner. Why wouldn't you train and train and train with him?) My conclusion: these guys are idiots and not worth watching. I watched half of tonight's episode. What made me talk back to the television tonight was the rookie Joe saying he was participating in professional jousting as a way to make a living and support his little daughter. Really? As if that were the only opportunity for a job open to him? Do you think there's health care provided by Charlie Andrews for his knights? I doubt it. I also think it would be hard to buy health insurance on your own if the insurance company was aware of your profession as a jouster in a troupe where the leader admits to a litany of serious injuries. It would also be really expensive. I can't imagine at the state of professional jousting today that one could make a living off of it. Being a competitor in the on foot equivalent of this sport (SCA, Adrian Empire) I applaud your statement. In my humble opinion shows like this are why so many people view Americans as brutish fools. I am completely frustrated over and over again by the media instance on picking only the most imbalanced and insipid individuals to represent historic matters. Jeff Hedgecock would have been an infinitely a better pick than this australopithecine, and that’s harsh coming from a self-proclaimed troglodyte. I bet Jeff probably would want fair compensation for himself and his family. What I have found is the declaration of how dangerous something is and the effort to keep it dangerous is simply a flag of insecurity. The desire to make jousting seem unsafe and to belittle those that practice it safely is simply the desire to stay a big fish in a small pond. If you truly are talented and skilled, you want to make your sport as approachable and fair as possible. The SCA takes great effort to make the full contact aspect of the society, safe and welcoming. This is because the last thing we want to do is turn away potential competitors and the challenge they bring. When you enjoy the sport rather than use it as an ego boost you look forward to new opponents and new opportunity’s to grow as a competitor. I am sure in the very remote chance the poster boy for Knights of Mayhem were to read this his inevitable response would be something to the effect of “come at me Bro!” but with jousting in there somewhere. I would gladly meet on foot in armored combat but somehow I believe he would not be so forthcoming. There's a saying on the internet to "not feed the trolls." However, I think I like the idea of feeding ogres when they leave such positive feedback. 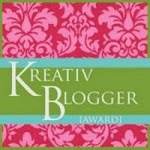 I went to see if you had a blog, but alas it appears you do not currently. Or, are posting anonymously. I appreciate your comment and the insight you provided. Anonymous, I wish you would provide sources for your claim. If you can back up your assertions, then find a good muckraking website such as thesmokinggun.com and have this lie exposed. Placing anonymous accusations on websites around the web without any evidence akin to cyber-stalking. I don't like it. How do I know you don't have a personal grudge against this guy and are lying? So that's why I am removing your comment. It’s awesome to pay a quick visit this web page and reading the views of all colleagues on the topic of this post, while I am also zealous of getting familiarity.